Karen House : Jan. 25, 2019, 12:11 p.m.
Jan. 25, 2019 – The sound of choppers overhead Thursday night and Friday morning lit up the social media outlets on Friday, as residents of Sequatchie County wondered what was going on. Too many for LifeForce and too late to be looking for marijuana crops in the hills, the helicopters were a puzzle to many who heard them fly over. Commenters reported hearing them over Fredonia, Lewis Chapel, and Signal Mountain, as well as in the valley and over in Soddy-Daisy. Some commenters who saw them said they looked like Army Chinook transport helicopters and others like UH1/Hueys or possibly Black Hawks. A spokesman for the Sequatchie County Sheriff's Office contacted at noon Friday said they were military helicopters, probably from Tullahoma or Nashville. The terrain of the mountains and valley give pilots practice they need for flying in the war zone of Afghanistan. 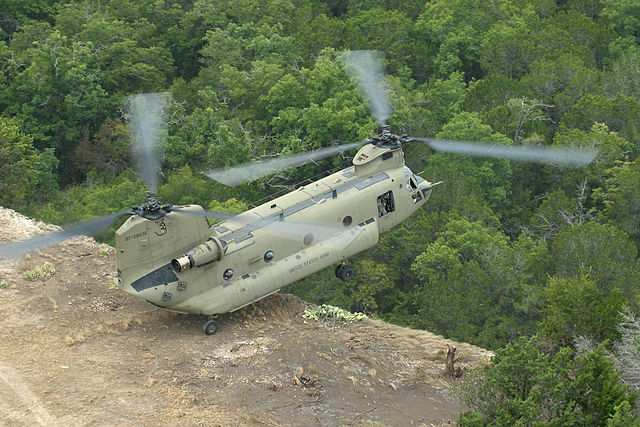 So, the next time helicopters are heard flying over the Sequatchie Valley, be aware that they are not looking for pot growers, or even Sasquatch, but they are just American men and women in uniform preparing for a hot zone.